This picture was taken at the Santa Cruz Market, in St. Elizabeth. It tells of a different side of Jamaica. 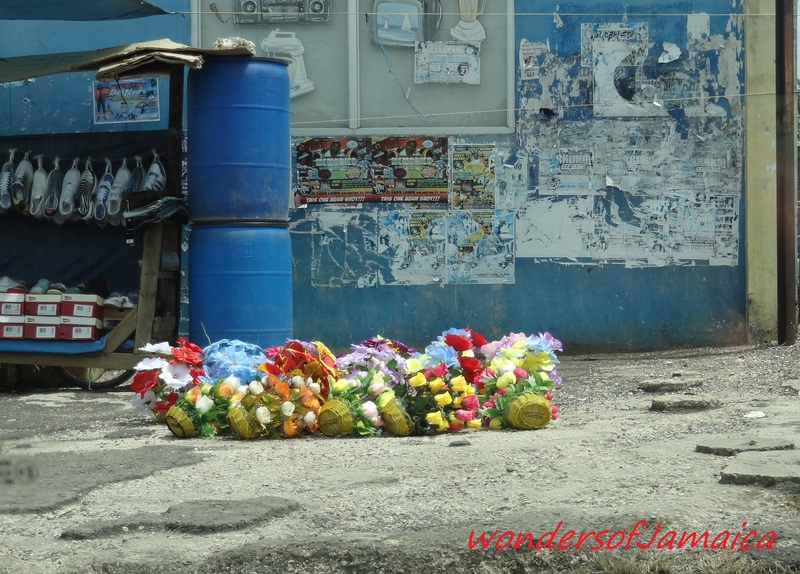 This entry was posted in Culture, Gardens, Jamaica, Photos, Shopping, St. Elizabeth and tagged Concrete, Flower shop, Jamaica, photography, Santa Cruz, St. Elizabeth, Travel and Tourism. Bookmark the permalink. I need to go there one day.